Kyoko Fukushi studied piano at Liszt Ferenc Academy of Music in Budapest, Hungary, and at Basel Academy of Music in Basel, Switzerland. In Basel she graduated with Soloist Diploma with honors. She received a diploma in Maria Canals International Competition in Barcelona, Spain in 1997 and 3rd Prize in International Competition in Foggia, Italy in 1999. 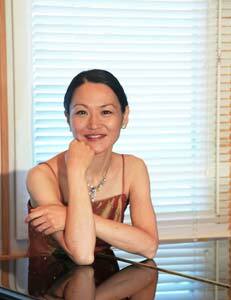 She has given piano recitals and chamber music concerts in Japan and throughout Europe. Since 2012, she has continued an annual recital series titled ” Aaltomuoto Sarja” which focuses the Finnish composers in Nagano, Yamanashi and Tokyo. 2003-2010 she has taught at the faculty of Music, in Lahti University of Applied Sciences, Lahti Concervatory and Lahti Music Institute. Since 2011 she is an Executive director of Japan Finland Contemporary Music Society.